My girlfriend Cindy invited me to go with her to the northside of Chicago to a snappy bookshop called Flourish Studio to see Julia Cameron give a 45 minute talk and have a book signing. It was really enjoyable. I had never heard of her book, The Artists Way until today, and I also learned she was married to Martin Scorsese and had a daughter with him. She signed my book and posed for a photo with me. I was happy! 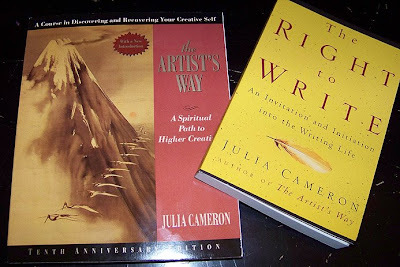 I can’t wait to begin reading The Artists Way. 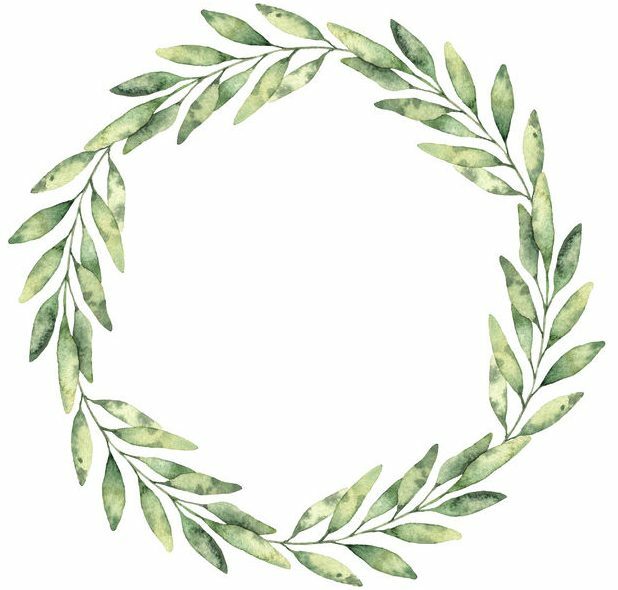 It has many ideas for fostering creativity. Previous postOuch! My body is sabotaging my exercise plan! Well I am familiar with her book but had no idea about the Scorsese connection! Very interesting! 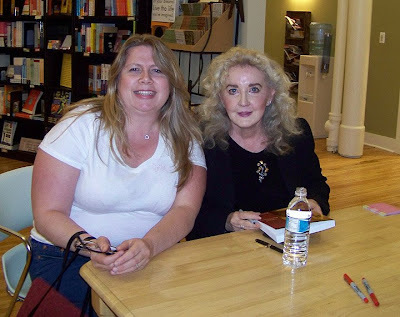 Isn't it a blast to meet an author? Though I edit for a living, I STILL get so excited when I begin to really KNOW some of my fave authors. 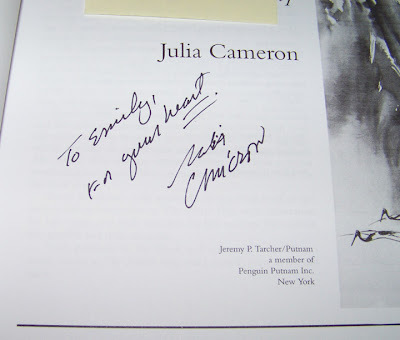 I'm glad you met Ms. Cameron, & her book sounds like it could be very helpful! I need to get a copy!